Prognostic factors are important for treatment decisions as they help adapt the therapy on a case-to-case basis. Nodal status, number of positive nodes, and presence of extracapsular spread are considered to be the important prognostic factors in head and neck cancer. Some studies suggest that human papillomavirus (HPV) status also influences the outcome of the treatment. 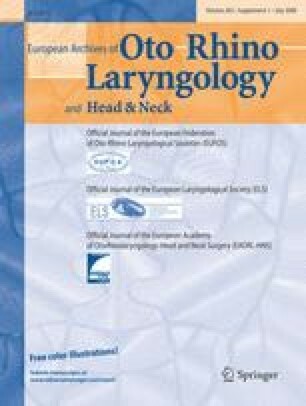 This influence can be explained by the variation in tendency to develop regional metastases and by variation in the type of neck node involvement. The study objectives were to compare patients with HPV positive and HPV-negative tumors for survival and prevalence and type of regional metastasis, to identify prognostic factors and to test whether HPV presence is an independent factor of survival. The study included 81 patients treated by surgery including neck dissection for oral or oropharyngeal squamous cell cancer. A computerized medical report was completed for each patient. Analysis of the tumor specimen for the HPV DNA presence was done on paraffin-fixed tissue. HPV DNA detection and typing were performed by PCR with GP5 + /GP6 + BIO primers and reverse line blot hybridization. Overall, 64% (52/81) of tumors were HPV positive with 80% in the tonsillar site. HPV-positive patients had significantly better both overall (73 vs. 35%) (P = 0.0112) and disease-specific (79 vs. 45%) (P = 0.0015) survival rates than HPV-negative patients. No significant differences were found in the pN classification, in the number of positive nodes and the presence of extracapsular spread in the involved nodes between HPV positive and HPV-negative tumors. Multivariate analysis showed that significant prognostic factors of survival were the presence of HPV in the tumor, extracapsular spread and tumor size. HPV was the most significant prognostic factor in the studied group of patients with oropharyngeal tumors (HR = 0.27, 95%CI 0.12–0.61) and possibly should be considered in treatment decisions. The authors thank Zdenek Roth for statistical evaluation of data and editing the manuscript. The study was supported by grant NR 8126-3 of the Internal Grant Agency of the Czech Ministry of Health.